Someone on kboards recommended this book and since I’ve been debating whether or not to hire an editor, I thought it was probably worth a few bucks to see what the prognosis is for me editing the book myself. This is one of those areas (like cover art) that I feel like I might be qualified to do myself, but I’m not completely sure. This book is a quick read (only about 200 pages) and gives some really good advice on a few arcane tasks that I was not previously familiar with. Place the character’s name or pronoun first in a speaker attribution (“Dave said”). Reversing the two (“said Dave”), though often done, is less professional. It has a slightly old-fashioned, first-grade-reader flavor. After all, “said he” fell out of favor sometime during the Taft administration. I was pleased to see that I’m not the only person who makes chronological references based on who the President was at the time. 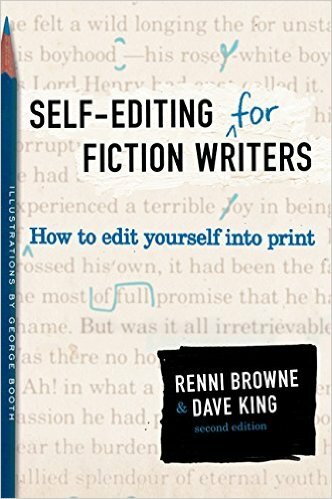 I would recommend this book to anyone who is going to edit their own work, or to anyone who is having trouble deciding. 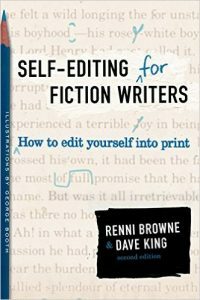 At the very least, it will highlight some of the most common blunders by amateur writers, and will make your first draft even better before it goes to the editor, whomever that might be.